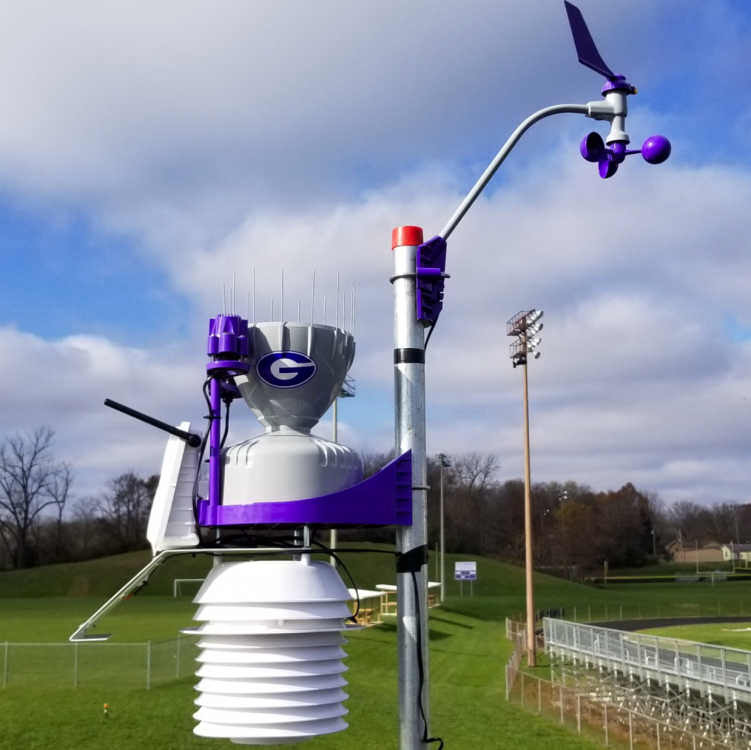 The local middle school just got a new weather station. The school colors are purple and grey. I'm not sure how that might affect the anemometer but it's pretty neat. They do the colors themselves? Looks pretty neat! That's cool! Great idea for school spirit. I'm not sure how that might affect the anemometer but it's pretty neat. Not sure. They probably did it themselves. Not wanting to post a negative comment but antenna on WS is not in an optimal angle. straight up or down gets signal further and cleaner. What brand WX station is that? Looks like Davis VP2 Plus with the new rain bucket. Cool. Thanks. And nice set-up. They always paint up their stations like that. Oh yeah. Those are cool. It is indeed a WeatherSTEM station.